Generally our Flashback Friday series focuses on one album, but this week we are focusing on a whole label. 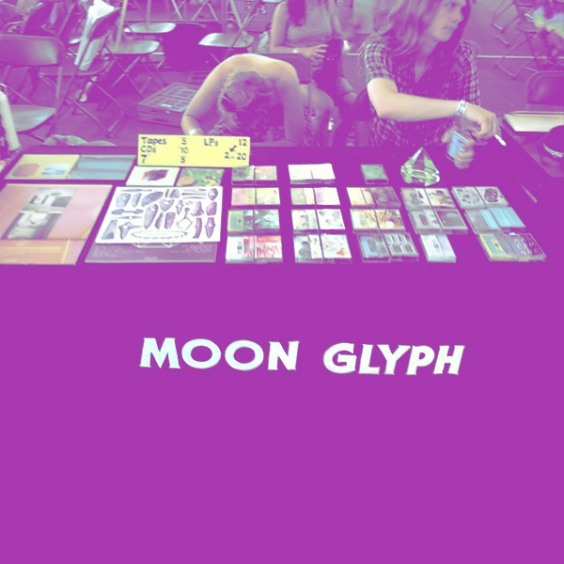 Moon Glyph, now out of Oakland, spent their formative years as a label right here in the Twin Cities, and they put out a litany of classic tapes, many of which haven’t left my musical rotation even a decade past their release. Many of these albums could (and hopefully will) be their own Flashback Friday posts, but for today we are highlighting that the label has recently uploaded a vast array of their amazing catalog to Bandcamp for your listening/downloading pleasure. It is a rock solid collection that includes some stone cold classics, ranging from the garage pop perfection of Dante and the Lobsters to the world class kosmische of Food Pyramid to the Syd Barret homage of Velvet Davenport and everything in-between. Daughters of the Sun, Magic Castles, Capricorn Vertical Slum, Tender Meat, Larry Wish, 555, etc, etc, etc. You really can’t go wrong, so you should clear your calendar and dive into the 20+ releases recently added to the labels page, and when you find all the releases you like, make sure to throw them a few bucks for their continued outstanding work brining left-field pop and electronic music to the masses. Follow their whole collection (they still are putting out killer tapes) HERE. Moon Glyph Records Showcase Tomorrow Night!